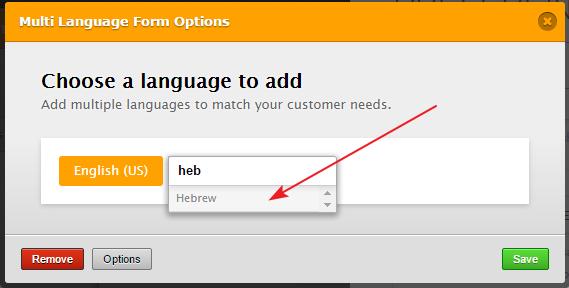 Do you have Hebrew language in your system? I'm not sure what do you mean by having language in the system. Do you mean to have multi-language form? 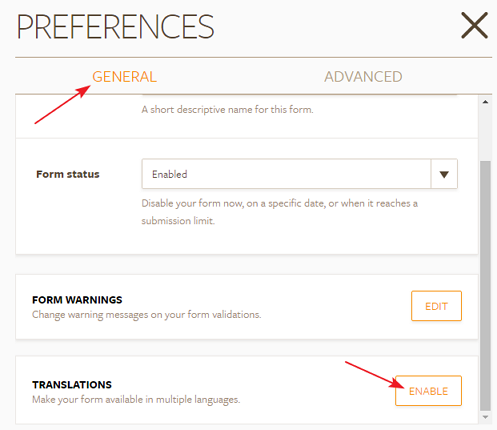 If so, it is required to add the language from the Form Preferences. However, it may be required to translate the text manually for some languages. Hope this information helps! If you are referring to something different or need any further assistance, please let us know. We will be happy to help!